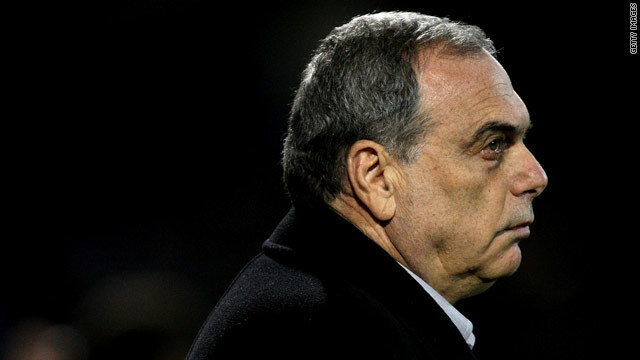 Portsmouth manager Avram Grant has to contend with problems on and off the pitch with his struggling Premier League club. (CNN) -- English Premier League bottom side Portsmouth have denied being formally served with a winding up petition by the Inland Revenue -- in a statement released by the club. A statement released by the club read: "Portsmouth Football Club has not been formally served with a winding up petition and is shocked and surprised this action has been taken in respect of Value Added Tax (VAT), PAYE and National Insurance contributions which either have been, or are about to be paid, or are disputed. "The club is disputing the VAT amount outstanding and has formally notified the authorities, who we expect to withdraw their demands. "Otherwise we anticipate a hearing being held in early January 2010 during which we will request that the High Court order the authorities to withdraw their demands. Portsmouth are currently operating under a transfer embargo due to their financial problems. A Premier League spokesman told reporters: "We continue to monitor Portsmouth's situation closely and remain in frequent dialogue with the club. "Clearly, we hope they settle any issues they have with the tax authorities before the court hearing in February." The club is disputing the VAT amount outstanding and has formally notified the authorities, who we expect to withdraw their demands. Portsmouth have endured a traumatic year in 2009. A bid from Sulaiman Al Fahim was accepted in May and he completed his takeover in August. At the start of October the club admitted failing to pay players' wages on time and on October 5 Al Fahim sold 90 per cent of his Portsmouth shares to Ali Al Faraj. Early this month, the club confirmed that players' wages had been delayed again. On the pitch, Paul Hart was sacked as manager on November 24 and two days later Avram Grant succeeded him as manager. Meanwhile, Premier League leaders Chelsea are operating effectively free from debt after owner Roman Abramovich wiped off $546 million owed to him -- but the prospect of the club breaking even by 2010 appears unlikely after they recorded a yearly loss of $71 million. Abramovich halved the club's debt a year ago by turning 50 per cent of his interest-free loans into shares, with Chelsea revealing in their 2009 financial figures he has done the same with the remainder of the money owed. It means the 43-year-old has ploughed more than $1,124million into the club and, importantly, means Chelsea will be confident of complying with any potential regulations on debt levels from governing bodies FIFA or UEFA.